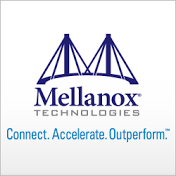 Mellanox Technologies (NASDAQ: MLNX) is a leading supplier of end-to-end InfiniBand and Ethernet interconnect solutions and services for servers and storage. Mellanox interconnect solutions increase data center efficiency by providing the highest throughput and lowest latency, delivering data faster to applications and unlocking system performance capability. Mellanox offers a choice of fast interconnect products: adapters, switches, software and silicon that accelerate application runtime and maximize business results for a wide range of markets including high performance computing, enterprise data centers, Web 2.0, cloud, storage and financial services. More information is available at www.mellanox.com. Founded in 1999, Mellanox Technologies is headquartered in Sunnyvale, California and Yokneam, Israel. Engineers know how to party! Start your own celebration with Mellanox Ethernet solutions. Visit http://www.mellanox.com/ethernet/ for more details. Thad Omura, Vice President of Product Marketing at Mellanox Technologies, presents Mellanox's recently announced 40Gb/s InfiniBand adapters and switch silicon to the press, analysts, and attendees at the International Supercomputing Conference 2008. At the International Supercomputing Show in Dresden, Germany, Appro demonstrated the first 40Gb/s InfiniBand-based cluster. Eyal Waldman, Chairman, President and CEO of Mellanox Technologies provides an overview of how Mellanox's connectivity solutions provide the key ingredients for sustainable HPC by delivering industry-leading performance, efficiency and utilization. Sujal Das, Sr. Director of Product Management at Mellanox, provides a quick overview of the Mellanox 40Gb/s InfiniBand-accelerated Oracle Exadata at the Cloud Expo in New York.